Liz Bentley is the founder and President of Liz Bentley Associates, a consulting firm specializing in leadership development programs. She is a nationally recognized keynote speaker and executive coach to top leaders and teams across a broad range of industries. Having worked with hundreds of clients, Liz understands this fundamental truth: you can’t change people but you can help them evolve into a better version of themselves. To help unlock barriers, Liz has developed powerful models that are built upon the most current research on how people perform best. She also has a unique appreciation of mindset and its power to transform behavior that’s based on her lifetime of experience in competitive sports. Through this groundbreaking work, Liz has become a thought leader in the industry. She delivers keynotes to top conferences and companies nationwide, including SHRM, Know Your Value, Microsoft, IBM, and Sotheby’s International Realty. Her ability to identify trends in human behavior also makes her a sought after expert in the media. Her advice has been featured in books, podcasts, business magazines and newspapers, including Fast Company, The Washington Post, and Business News Daily along with her career advice column in Marie Claire. Liz received her coach training from the New York University Certificate in Organizational and Executive Coaching program, and the David Rock Results Coaching System. She received her BA in Psychology from the University of Virginia. Prior to coaching, Liz worked in advertising sales for Condé Nast Publications and CBS Network. She has also been a competitive athlete her whole life. She played Division I Soccer and Lacrosse at the University of Virginia. 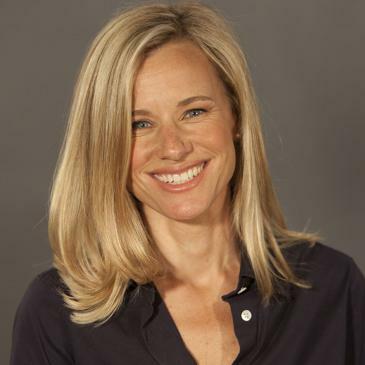 She taught skiing at Aspen Highlands in Aspen Colorado, has run the NYC Marathon twice, and currently plays competitive platform tennis, tennis and ice hockey. She lives with her husband and 3 children in Cold Spring Harbor, NY. What led you to coaching? I was having dinner at a friend’s house and seated next to a great guy who was a Yale graduate, fun to be around and an excellent tennis player. He was also a major influencer as a very senior executive at Morgan Stanley. He turned to me and said, “Liz I have been working with an executive coach and she has changed my life.” Wow, I thought, he was pretty good already! Soon after, I encountered 3 other good friends with similar backgrounds who expressed the same story with an executive coach. At the time, I had taken a pause from the corporate world to be at home with my 3 young children but when I heard about coaching, I knew my calling was here and it was time for me to return to the workforce. What aspect of your work do you value most? Becoming a coach and having the privilege of working intimately with people all over the country has opened my heart and eyes to seeing the journey of so many amazing lives. From this experience, I have grown an incredible appreciation for the fight of the human spirit. Everyone shows up each day to do their best and some days they rise and some days they fall. In this career, I have developed tools to help people step into their power. By leveraging their strengths, hurdling the obstacles that stand in their way, pushing themselves out of their comfort zone and persevering even when the odds seem stacked against them, people achieve their full potential. From this work, I have had the joy of watching people succeed on deeply personal and professional levels. And I hope to continue this meaningful work indefinitely. What unique skills do you bring to your work? Being the youngest and only girl with 3 older brothers has given me unique skills in life. Like eating fast so I could get seconds at dinner, learning tackle football in the backyard as my first sport, or that crying was an unacceptable response to anything. Those big brothers also taught me to value the importance of play, to laugh at myself, and to enjoy playing the game even when you don’t win, which I usually didn’t. Luckily some of the values I learned in my youth did translate well to the workplace. Psychology, the constant evolving study of human behavior. I have always loved studying and understanding what motivates people to be their best self and what obstacles they have to hurdle on their journey. Athletics. As a lifelong competitive athlete I learned the importance of mindset in impacting performance. On many occasions, I was the victim of mental distraction and self-doubt that created painful losses; on others, I had nerves of steel and resilience that produced memorable victories. And I had the gift of being influenced by amazing coaches who changed my life. Business. I love the strategy and competition of business. And I’ve greatly benefitted from my experiences in the corporate world of CBS Network and Conde Nast, which gave me great insights into leadership, teamwork, and sales. As a trusted advisor, Liz Bentley is passionate about creating culture that leads to sustained peak performance. Through her coaching, she has not only been a catalyst in my personal development but made an indelible impact on the potential of the marketing function in our company. I couldn’t do it without her. Liz challenges the status quo and invites her audience to view their circumstances in a new way that results in audience excitement and enthusiasm for growth. Liz gets business and her years of working 1:1 with top level executives makes her prepared to handle the most unique of situations. CSHL Human Resources & WiSE hosted Liz for a presentation titled, “5 Mistakes Women Make in the Workplace”, which discussed common missteps that disadvantage women in male-dominated fields. Liz is genuine and direct in her coaching style; she hones in on the most important executive skills and gives you discrete actions you can implement immediately. Both men and women at CSHL took away useful suggestions from her talk. It was such a pleasure to have Liz Bentley as our keynote speaker for our Microsoft 2016 Annual Women’s Conference in New York City. She has a unique talent to draw in an audience with her personal stories, real world client examples and captivating personality. We all left with practical knowledge and tools that will certainly help empower us in our jobs. I would highly recommend her to any organization looking for a highly dynamic speaker! Our company is working with Liz for some years now. We are using her insights when we look to get high potential employees on board. Liz helps us to diagnose the profile of the candidates and ask better questions during the hiring process. We really appreciate Liz's knowledge about peoples' personalities. With her help, we are sure that we hire the right people into the right positions. Thanks Liz – it´s always a pleasure!! An exceptional presenter, Liz did a program for the FEW group (Financial Executive Women CFO roundtable) recently on “Commanding Respect” that got everyone talking. This is the fourth time we have invited Liz to speak to our group, well in excess of other speakers we have considered. Liz’s presentations and slides are always well prepared and thought-provoking. With timely material and engaging questions, Liz always leaves the audience wanting more. Liz Bentley was fantastic and by far the highlight of the event. I learned the most from her presentation and it is something I can use. Liz Bentley is an awesome facilitator. I really enjoyed the information, how she managed the group and her personality. Well worth the time and money to come in early and attend this session. Thanks to Liz, my career and my life have been completely re-organized, refocused, and re-energized. In only a few weekly sessions, Liz helped me identify my strengths, goals, and ways to focus my priorities and time so that I have a work balance and life satisfaction that I never had in 20+ years as a program manager. This was a phenomenal class. I have taken this back to my team and we are still learning from Liz's skills and her amazing way of teaching it. Just fantastic. Please have Liz come back next year so that I can bring my whole team to be tutored by her. Liz is a very dynamic presenter and her experience in the corporate world made her a convincing voice and role model for considering fundamental changes in my leadership style. The skills and techniques I learned from Liz have made an immediate impact on my leadership skills, and perhaps more importantly, sharpened the vision for my personal and career goals. I would strongly recommend Liz to anyone looking to grow as a professional, and as a person.